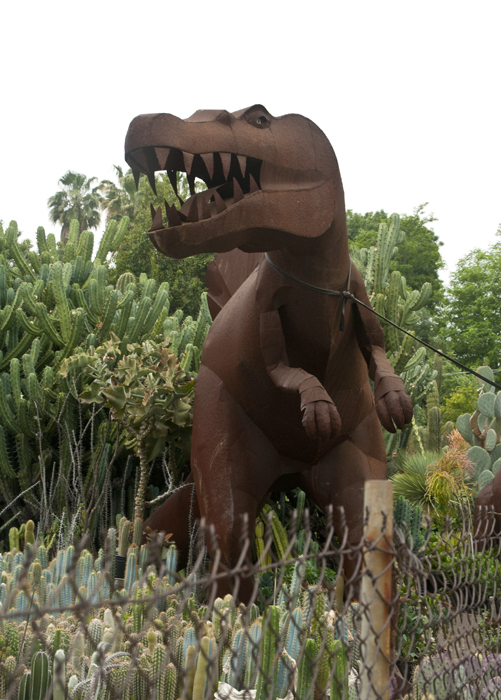 One of the nurseries in the area has a dinosaur guarding the premises. Good thing he’s on a leash! 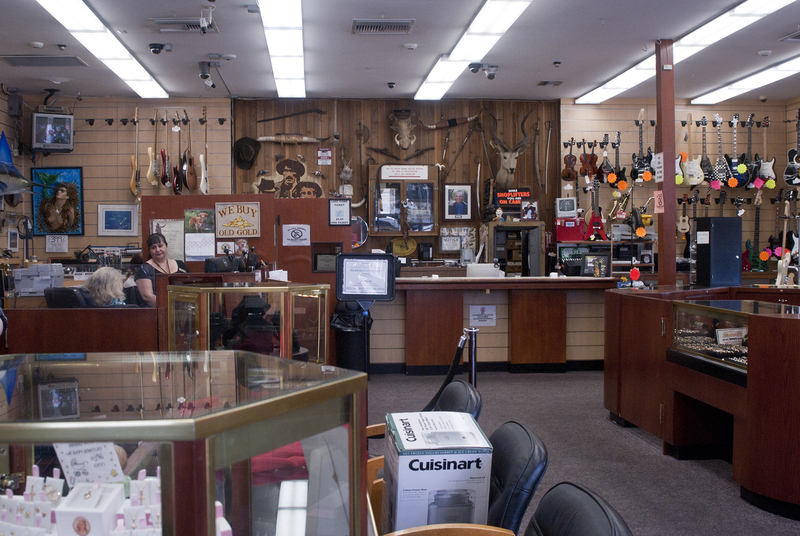 Categories Botanical, Reseda Businesses, Unique! Looking west on Sherman Way near Wilbur Ave. Its all about the palm trees for me. Standing so straight and tall, all in a row, they seem to collapse into one, tall, feathery thing. Not Thing 1 or Thing 2 but maybe Thing π? 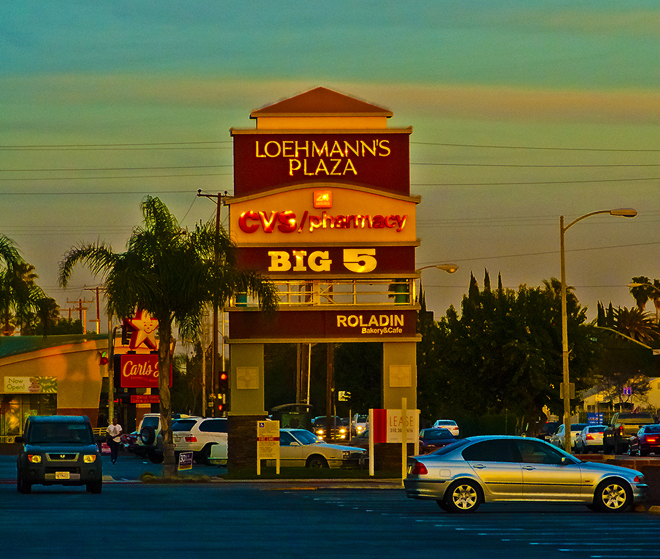 As the sun sets, it reflects on the letters of the Loehmann’s sign. At a certain time of year, the setting sun causes the letters on the Loehmann’s Plaza sign, at the corner of Victory and Tampa, to sparkle like jewels. When I see it, it always makes me catch my breath and marvel at how magical it appears to me. Great minds came together today at Aura’s restaurant on Sherman way. 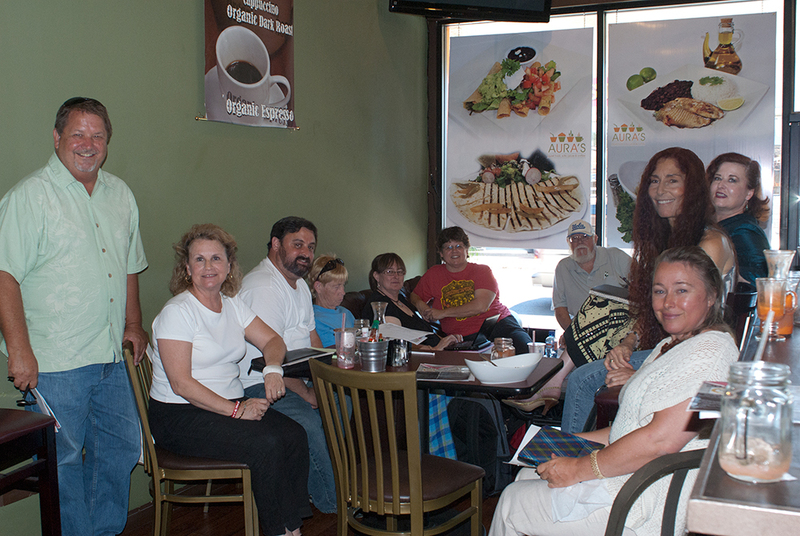 The Outreach Committee of the Reseda Neighborhood Council got together to talk about things we can do to help move the Reseda renaissance forwards. Lots of great ideas were tossed about, with Spike Dolomite presiding. 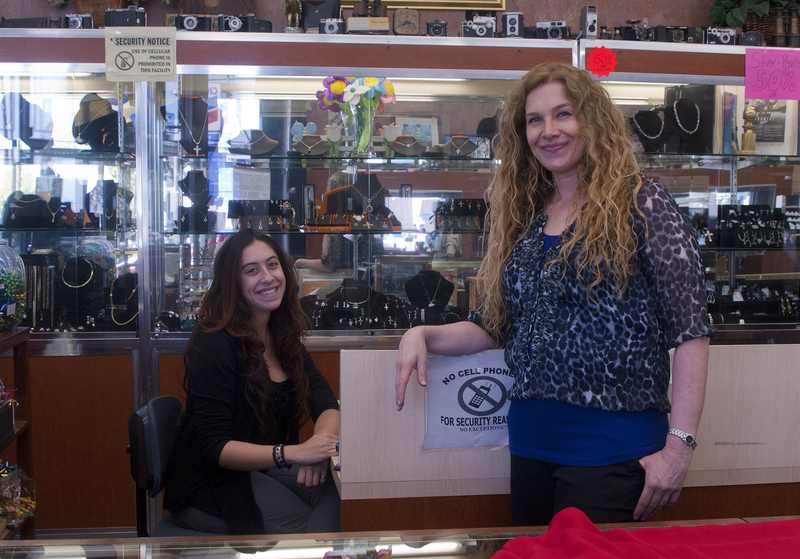 She produced the recent music retrospective at Continental Art Supplies, which was hugely successful, so I think we can set our expectations pretty high for Reseda’s cultural evolution. No pressure Spike! Looked up after parking my car on a side street and saw these towering cacti in bloom! Sometimes it pays to look up. 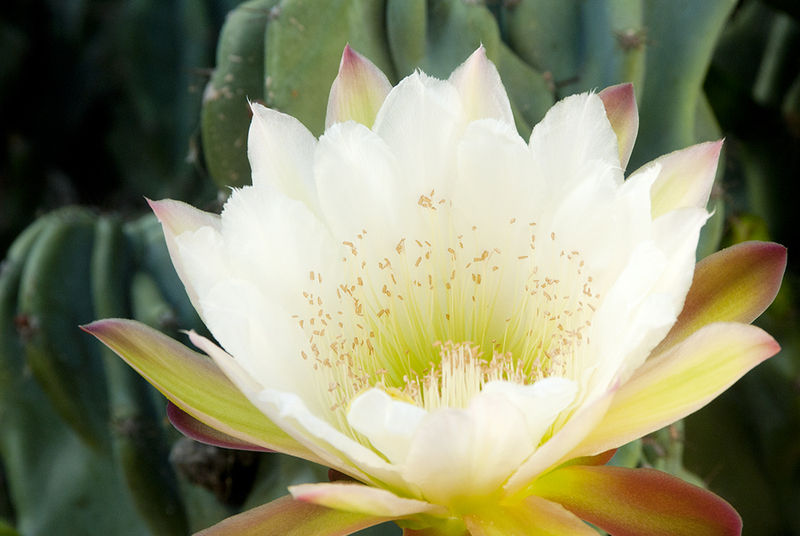 Here is a close-up of one of the cactus flowers.